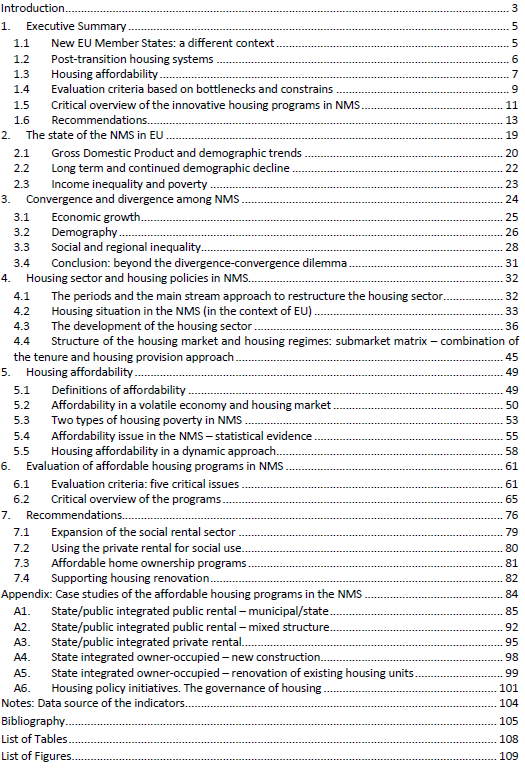 The European Housing Partnership (EHP) is committed to investment in affordable housing in Europe through identifying constraints and bottlenecks in terms of access to housing and long term affordability, as well as through examining and promoting good practices and innovative solutions in the sector. Metropolitan Research Institute (MRI) was invited by EHP to carry out research for the Housing Policy working group about the Central and East European experience of these issues, namely in the eleven new Central and East European EU member states (Bulgaria, Croatia, the Czech Republic, Estonia, Hungary, Latvia, Lithuania, Poland, Romania, Slovakia, and Slovenia). 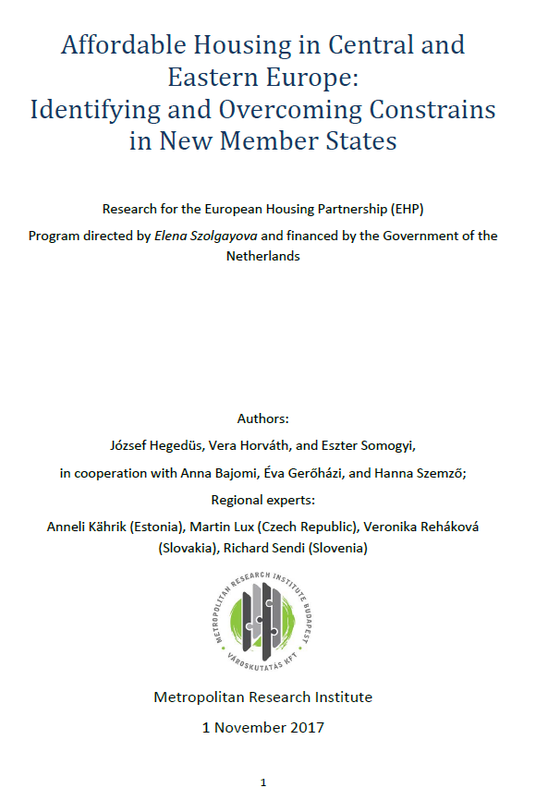 The research to support EHP in developing its Action Plan must pay special attention to the new EU member states (NMS) because of the historical particularities of Central and East European (CEE) post-socialist countries. The current study draws from MRI’s existing research.1 We used the input of four in-country experts: Anneli Kährik (Estonia), Martin Lux (Czech Republic), Veronika Reháková (Slovakia) and Richard Sendi (Slovenia); the cases presented in this study have a stronger focus on the authors’ and experts contributors home countries. The valuable feedback of the EHP Working Group members is also reflected in the main text and recommendations. The study received financial support from the Government of the Netherlands.